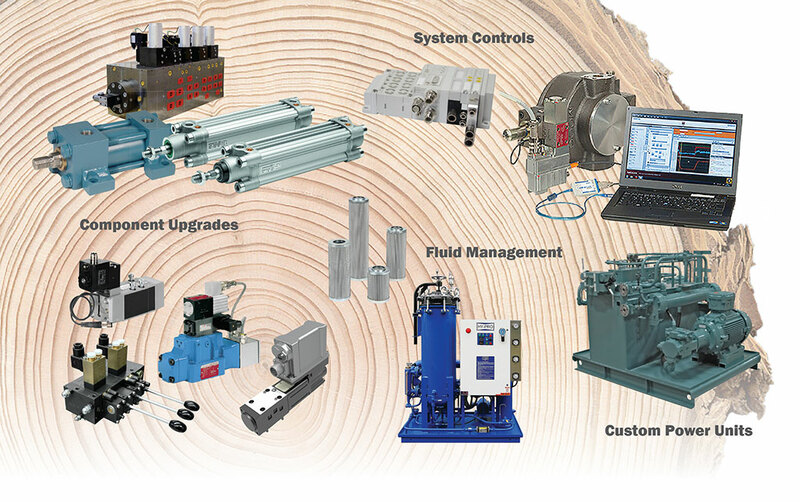 From the lumber yard to mill, from pulp to paper, Advanced Fluid Systems can help you utilize every board foot of wood. We work with some of the best names in the business. 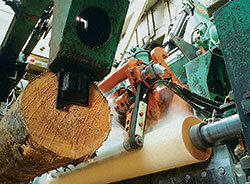 Components engineered to withstand the rigors of sawmill and wood processing equipment. Atos Electro-hydraulics, Aventics Pneumatics (Valves, cylinders and controls), Moog Servos, Servo-proportional valves & RKP Pumps, Moog servo drives & electro-mechanical actuators, Hawe Hydraulics, Sun Hydraulics & Custom manifolds. Advanced Fluid Systems has an in-house staff of hydraulic/mechanical and electrical engineers to work through your specifications and design your custom solution. If the desire is to upgrade your existing equipment, AFS has years of experience upgrading to current components and integrated improvements. If single components need to be replaced, the sales engineers, customer service, or in-house engineering teams are ready to replace with current and readily available, robust solutions. AFS can repair just about every product or system used in the hydraulics/pneumatics industry. OEM supported and highly trained repair facility. We will conduct a no-risk evaluation of your equipment. We’ll prepare a quote for the recommended repair and or replacement options. Upon receipt of your written approval, we will begin the repair process. Each repair is fully tested to the manufacturer’s specifications and includes a one year limited warranty and a two year limited warranty on Moog products. We take filtration seriously! Particulate contamination is the number one cause of equipment failure. AFS can provide filtration support and solutions from Hy-Pro and custom designed lubrication and filtration systems to fit your needs. From fluid diagnosis to full system filtration solution, Advanced Fluid Systems has the experience to keep your fluid clean and healthy. We also rent filtration & vacuum dehydrators!